About the Author: David Goldblatt is the former superintendent of Saddle River School District in New Jersey. He holds a Doctor of Education (EdD) degree from Nova Southeastern University. As a school leader, I found that I and other school personnel generally had a pretty good sense for where our district’s teachers needed additional training. We also, of course, had a defined, but limited, budget for our annual PD initiatives. With those factors in mind, we created and maintained a five-year PD outlook (which helped us ensure we delivered trainings that built on, rather than duplicated, each other) that reflected our priorities and budget. After we decided on the content, the discussion shifted to our scheduling strategy for PD: When would we ask our teachers to complete training? Once you have determined your PD needs, undergoing a comprehensive evaluation of the time required for successful delivery is the first step toward a successful program. While selecting the proper training is obviously a big piece of the puzzle, it’s also vital that there’s enough time for PD and that you minimize disruption to the school day. The best professional development programs allot enough time to really give teachers quality training. The right approach for your school or district will depend on the specifics of the training. If, for example, your PD involves blended learning and teachers learning how to navigate technology with a software program, then it will probably take a while for that to be implemented. In that case, you’re much better off with a year-long program where you have three or four professional development days built in. Summer vacation may work, but then you risk teachers being unable to attend due to a variety of potential conflicts. There are issues with before or after school as well, because teachers have complicated life schedules. Half-days are often a good solution, but even then, there are few potential hangups. If your PD plan for the year includes significant training that is best absorbed by longer sessions, you may need to hold full-day trainings or more half-days than is appropriate. There are also contractual considerations. I currently advise a PD provider that works with a district on the East Coast. 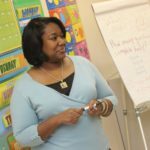 This year, the district’s professional development centers around a computer-based course that trains teachers on individualizing skill development for students. However, instead of carving out a number of full- or half-days throughout the school year for training, the district is trying to do it during prep periods. They’re doing it piecemeal. When you do it that way, there’s not enough time for real, quality training. The teachers are frustrated because a) they aren’t actually developing new skills and b) they have to give up important prep periods. It ends up being an inefficient use of your school’s resources and your staff’s time. The elephant in the PD room, of course, is cost — not only for whatever training your school or district proposes, but also to get coverage for teacher classroom absences that may arise from PD days. It’s certainly possible to schedule PD such that you won’t need additional substitute teachers — i.e. you might be able to build in three or four half-days within the school year (and work it out contractually with your teachers). But that’s a difficult situation, and it’s certainly not an option in all cases. If you are in a situation where you need coverage, it’s important to plan ahead. 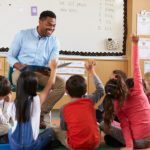 A proactive plan for bringing in substitute teachers provides a strong foundation for successful professional development. A company like Swing Education uses its regional pool of substitute teachers to supplement your in-house subs. Because substitute teachers can be assigned well in advance of the actual PD sessions, this will allow the continuation of quality teaching and learning, as the teachers and the substitutes can link together the classroom lesson and the ongoing activities. Ultimately, effective professional development requires prioritizing your needs, assessing the time that you need to have effective training, and determining the optimal way to get the training done. Usually, the most effective way is to do it on professional half days; alternatively, if PD requires a larger time commitment, it’s best to bring in substitute teachers to cover for your full-time instructors. Schools and districts that try to take shortcuts often see their PD fall short, because they’re doing it without a real understanding of what the training time is and understanding how important it is. 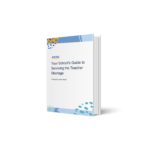 On the other hand, allotting the right amount of time for your teachers to complete the right training for their needs will produce a range of benefits, including improved staff morale, better PD outcomes, and minimal disruption of curriculum and instruction. The most successful PD programs are the ones that have enough time for quality training. Swing Education can help your school or district with substitute teachers. Get in touch to learn how. It’s really interesting that you should schedule professional development during summer vacation or during teacher preparation periods. This makes sense because it would help teachers to understand new software and technology. It makes me wonder how many teachers use their summer breaks to continue learning while their students are enjoying their time off.